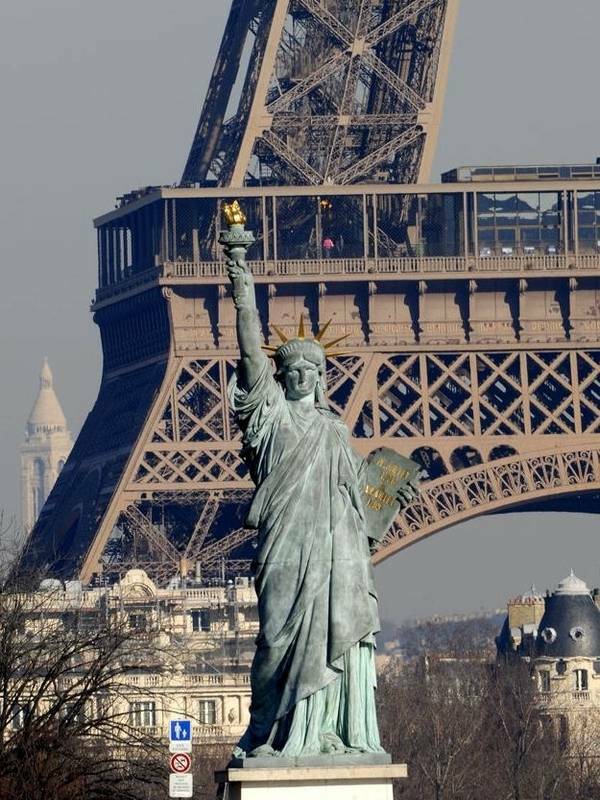 Among all copies of the Statue of Liberty, the most famous is undoubtedly that of Paris. But first, we must know that there are at least 5 Statues of Liberty in Paris. The first is a enlargements plaster has executed Auguste Bartholdi to design the original statue, she is at the Museum of Arts and Crafts in Paris then. The second is at the entrance to this museum is a perfect replica of the one in the museum. The third is advertising sign at the 'American Dream', a bar and restaurant in the capital. The fourth is in the museum of the Quai d'Orsay, it is a gift of the widow of Bartholdi. Initially placed in the gardens of Luxembourg, she was moved to be sheltering. Finally the fifth is probably the best known of all replicas of the statue in the World: The island swans. The statue of the island swans measuring 11m50 is the expansion to a quarter of the original statue (46m50). 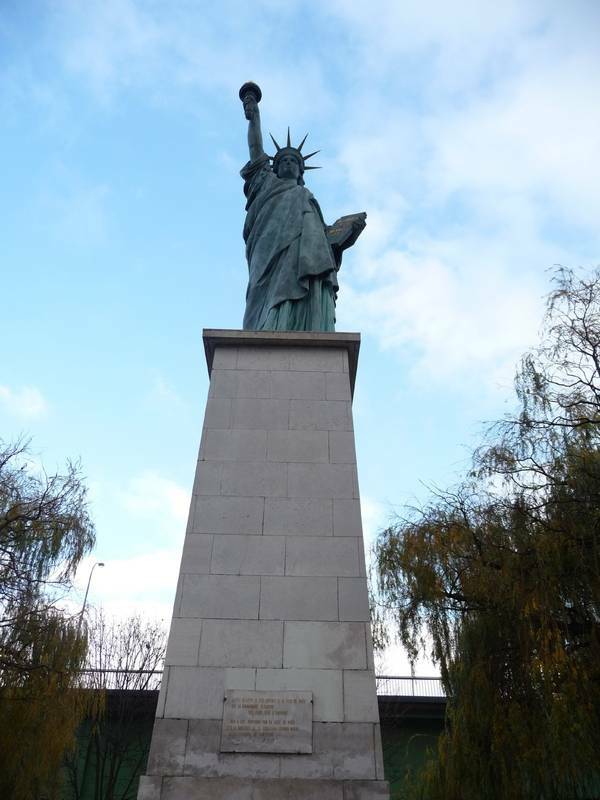 It is a replica based on the plaster model that Bartholdi made to make its expansion calculations. Its base, narrow, high, bears a commemorative plaque. The statue is located on the island of swans, an artificial island in central Paris that was created in order to build the Pont de Grenelle. Nowadays this island serves as support for 3 Parisian bridges. 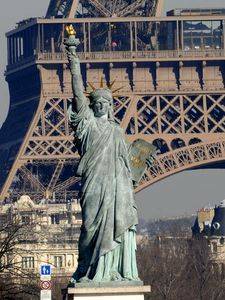 The statue is a gift from the United States to France, a reciprocal gift of the receiving country of the statue to him that made him the gift. While the real statue was unveiled in October 1885 is in 1884 that the Paris committee of Americans launched a subscription to build a replica of the statue to offer to France. This was quickly funded and in May 1885 was held a groundbreaking ceremony, 6 months before the inauguration of her great New Yorker sister! However it was not the final statue, which will be ready as 2 years later but a plaster mold that was installed instead of the United States. 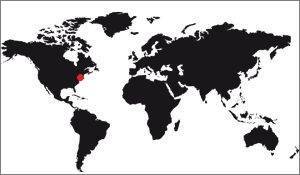 It was a life-size model or 11m50 high, and instead of the United States is small for such a monument. So it was quickly dismissed as soon as the actual statue, bronze, arrived. It was installed on the island for swans in 1889, inaugurated by President Sadi Carnot on 14 July. 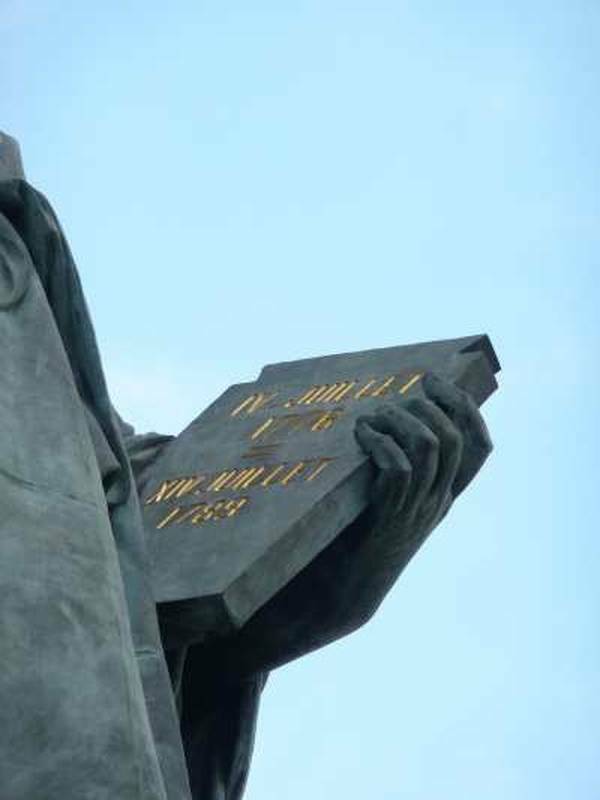 This date was not trivial because the statue was a difference with that of the United States: Inscription of the tablet, where it says "IV July 1776 = XIV in July 1789," to highlight the two dates of independence of peoples. In 1998 the statue of the island to the swans was paid in Japan on the occasion of the Year of France there. It was installed on the island of Odaiba in Tokyo Bay. This short period of one year (spring 1998-spring 1999) is the only of its history it did not pass on the quays of the Seine. Moreover, we note the willingness of breeders of artwork who chose the replica of the Statue of Liberty to represent the French artistic ability in Japan. Not so strange that this, this has allowed Japanese to remember that Miss Liberty is primarily French. The text below was published in the official bulletin of the 1889 World Expo, the same one who consecrated the presence of the Eiffel Tower in Paris. This text has been put into this document to remind the interest for both countries to have a strong alliance. "Yesterday was the July 4, the anniversary of the memorable proclamation of independence of the United States, which has contributed so generously France. Also, to give a big party at the Exhibition, administration she was right to choose that date and fill the whole day with feasts of different genres. But it was the Americans who started in the morning at ten o'clock, for a pious pilgrimage to the tomb of General de Lafayette, they have in great veneration, and whose equestrian statue, down, amounts to threshold of the US section. The Minister of the United States in Paris, the Commissioner General of the Exposition section, Mr. General Franklin, some soldiers of the stake of the Marine Corps, which we have addressed here even if deserved compliments; Captain Henry Clay Cochrane, Lieutenant Murphy, A large number of members and American ladies came, despite the early hour, and laid wreaths and flowers at the tomb of Lafayette; the soldiers fired a few shots in honor of the great dead, and they beat him and rang the fields. Edmond de La Fayette, senator, and some descendants of the hero attended the ceremony, great in its simplicity, and that is the exact reproduction of the funeral honors to American celebrities. After a speech by the French Senator, we separated, very impressed. 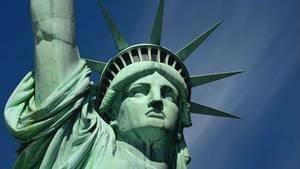 But the solemnity of the inauguration of the statue of Bartholdi Liberty Enlightening the World was, one might say, the highlight of the day: these are included below for details. We remember this colossal allegory of hammered copper, which was shipped in pieces to New York on a special vessel; we remember the brilliant inauguration that took place there a few years ago in a small fort in the harbor of New York. This statue, of enormous dimensions, is already known of all browsers who visit US ports and directs its headlight shining comers. Certainly, we do not compare the Seine the Atlantic Ocean or the pier of the Isle of Swans, the island of New York Bay; this show is obviously less grand and less imposing. But it is the gracious and friendly intent must be seen especially in the exchange of statues in this back-and-forth sympathy and good processes. France had offered the United States a bronze giant; the American colony makes him the first edition of this huge statue, and we put it on the Isle of Swans, as a lasting memory of the friendship of the two great Republics. It was the City of New York who had the honors to French guests; it is the Parisian municipality that honors the American guests at City Hall: This reciprocity was very natural, and everything happened with a cordiality and a worthy width Paris. The red and white flag with the blue corner starry fleet gaily beside the tricolor and the brotherhood of the two nations has increased even more during this great day. " 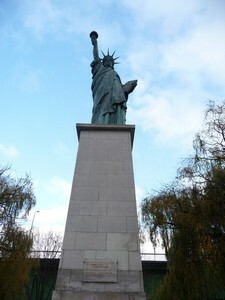 The centenary of the statue closer, the Americans launched a major renovation plan of the statue to prepare to celebrate her birthday. French side has not been outdone. On July 4, 1986, the anniversary of American independence, while New York was full of people for 4 days in Paris was held an official ceremony more confidential but still very interesting. The president at the time, Mr Jacques Chirac, was present, as Mr Rodgers, Ambassador of the United States. Once the speeches ended two personalities sang the American and French anthems respectively by Barbara Hendricks and Line Renaud. This day took place in a good mood in bright sunshine. Swan's Island is an artificial island in Paris, it dates from well before the construction of the Pont de Grenelle, in the late nineteenth century, but has actually been built at that time. It is a very narrow island: 11m 850m specifically on its length. For a long uncrowded and poorly laid out, it has been completely revised recently. Now it is planted with trees, there is a well-made boardwalk trail and even sports equipment. It's also a nice place to stroll, or to walk Fido.